Home Tags Posts tagged with "Campus"
A great college can give you an education that you can use throughout your life. An even better college will give you experiences that you will remember and help you forge life-long relationships and skills. You should visit a college to see if it’s the right one for you. There are many great points to see when visiting a college. You should take a look at all sorts of academic departments on campus. These include ones you are interested in as well as others that might be of use to you in the future. Think about your interests for your studies and think about how well the departments on campus will help you with those studies. Try and schedule a talk with a professor or two while on campus. A professor can give you a good idea of what classes are like and how the school’s philosophies for teaching students work. You may also get to tour different classrooms. You can get a better idea of the learning environments on campus while also considering how large or small classes in your field of interest might be. You’re clearly going to do more than just study at a college. Visit the student center or one of the dining halls on campus to get an idea of where students meet while on campus. This can help you get an idea of what life is like on campus. It’s always a good idea when visiting a college to see what student services are available. One of the best services entails financial aid. Check to see what opportunities are available for students through scholarships or work-study programs. You can learn more about financial services through a college visit than what you might learn by just perusing the college’s website. Get a clear idea of what is happening on campus and what attitudes and values are all around by reading the student newspaper if there is one. This can give you an idea of what events take place at a campus and what issues and points students might care about. 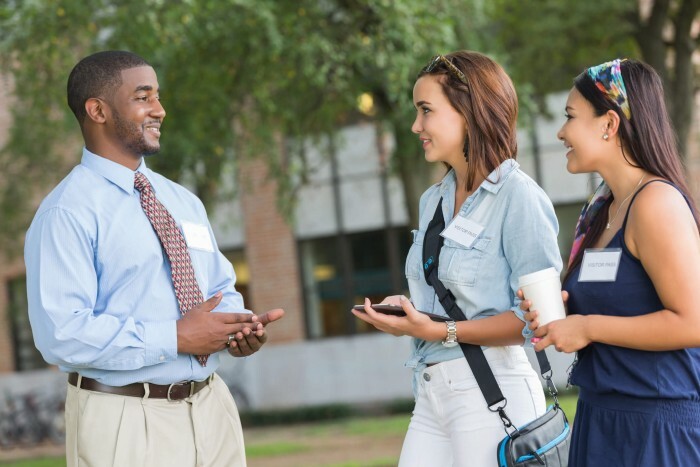 See if you can talk with students at a college while visiting. You should always ask students what they feel about certain things on campus and what they like about the school the most. 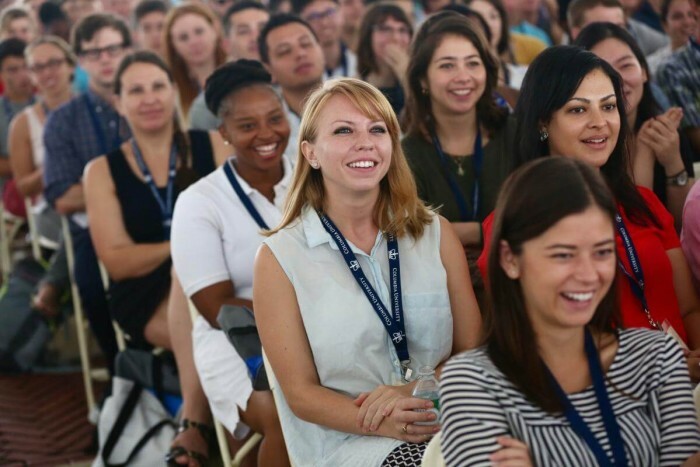 Getting the word from students on campus who are working hard to attain their degrees will certainly give you a firsthand idea of what a college is like. The last tip is to think about your comfort level while you are on campus. You need to feel confident in how safe you might be while on campus. You must especially think about if the college has enough services available for students like counseling, job-searching help and much more. Your college campus visit can make a real difference when it comes to figuring out where you should attend school at. Make sure you think carefully when getting a great visit going so you could potentially feel positive about the school you want to attend. Since there are so many online schools around these days, students have even more options for furthering their education. People who have jobs find online schools appealing as it allows them to keep their jobs without making any major changes. However, this does not mean that choosing between studying on campus or online is an easy choice. When trying to decide between the two, it makes sense to look at the similarities and differences. Your career choice and finances will also play a role in your decision. This is one of the biggest selling points for online degrees. Many people like the fact that they can generally set their class time for the time most convenient to them. When you are on campus, you do not have this flexibility. If you miss a class online, it is generally easier to catch up as many programs have online forums where class notes are uploaded. Of course, with advances with technology, this is now possible with many campus-based programs as well. The downside to online learning flexibility however, is that some people end put putting off their classes and assignments for too long. By doing this, some students take much longer to complete their courses. If you are working and your job does not have flexible hours and you are good at time management, then online classes could be the right thing for you. Some people prefer the strict format of campus based learning as it challenges them to work harder. When you do classes online, you will have to motivate yourself. Details on any course of study are important if you want the best value for your investment. Make comparisons between the course curriculum for both online and campus-based schools. The online program should offer the same or similar subjects as campus-based programs of the same course. If important areas or major differences exist, look at other online schools or select a traditional brick and mortar school. There is no doubt that most online programs are cheaper than studying on campus. Online schools generally do not charge as much as other universities for the same course of study. Also, you don’t have to worry about expenses like staying on campus or traveling to school. Overall, however, most online students are happy with the fact that they can save money on their education. If working with other students face to face is important to you online learning might not be suitable for you. This is one of the drawbacks to studying online. You will only be able to keep in touch with other students and the lecturer by email, web conference or by text. Some students have no problem with this, but others may find it difficult. For online learning to be successful, you need to have the necessary tools to participate in the classes. If you do not own a computer and have no Internet access, learning online will be difficult. When you attend a campus, some of these challenges are less. You have to think about the expense of getting a good computer and access to the Internet if you want to study online. Alternately, you need to have a reliable alternative such as a library. On the other hand, even if you have to pay a computer and get Internet access, it may be still be cheaper than paying for a campus-based program. In the past, many online schools had trouble getting accreditation. These days, this is not such a major issue. Most accreditation bodies recognize most online schools. In addition, many online schools are affiliated to or are extensions of established traditional universities. This means you can get a valid degree by studying online, but it makes sense to research the school first. Choosing between online or a campus for your studies is a personal decision. Take the time to explore your options so that you will make the best possible choice. While there are plenty of fine off-campus living spaces for you to choose from, you have to make sure you look carefully when finding a good place to live at. There are many great things that you have to think about when finding a place. One of the best parts of living off-campus is that it typically costs less than if you lived on an on-campus dorm space. You should compare the cost of your off-campus space with the cost of whatever it costs to be on campus to determine if the off-campus option is truly worthwhile. Not all off-campus housing providers are willing to give you a great deal on your housing option so make sure you are careful when looking for a place that you can enjoy living in. Remember that neighborhoods outside a campus space aren’t easily controlled like what you’d get while on campus. You need to think about how the neighborhood that you want to live in is organized. Whereas many on-campus dorms have leases that last for one or two semesters, some off-campus spaces might ask you to stick with an annual lease. Others will offer monthly leases that are ideal for if you are going to be away from campus for a month or longer in between semesters. Check on the lease for whatever place you want to stay in and see if it’s one you can afford to spend money on. You have to choose things to make it easier for you to get a little more out of your living space. Make sure you choose something sensible and useful for your demands and you will have a good experience. Be careful when looking for a great off-campus living space. You need to make sure the place you want to live in is one that is comfortable for your demands and offers plenty of great things for you to enjoy while also being easy to afford. Worried About Your Daughter Going to College? College for anyone is an intimidating experience. For many young women, the idea of going off to school alone can be very invigorating but also terrifying. Parents of girls going to college will naturally be worried about their child’s health and safety while they are attending school. This is natural for parents of all children, but there are certain concerns that tend to placate the minds of young women and their parents. There are certain particulars that must be taken care of and discussed before attending college. The primary concern of many parents is safety. It can be helpful to research the school’s safety measures. Many schools have police call boxes located throughout the campus where students can press a button and be immediately connected to an emergency dispatcher. This is especially helpful in high-crime areas where women are often targets of crimes. Also an important consideration to make is the consideration of whether or not to buy pepper spray. Pepper spray, when properly used, can help deter a potential criminal. But it is something that has to be researched and considered carefully due to the fact that many states and cities have laws or ordinances that prohibit the possession of pepper spray, mace, or similar products. Another thing that girls and their parents worry about is health. Women’s health in particular is a very complex and tricky topic. Women have significantly different health needs than men do. A brilliant suggestion would be to make sure that your daughter sees her physician before she goes to school. The physician can then check to see if any additional vaccines are needed, as well as fill out any forms that may be required by the school. Many schools may recommend certain vaccines before entering school. A commonly recommended vaccine for girls is the vaccine for Human Papilloma Virus, commonly referred to as HPV. The HPV vaccine works to prevent certain types of cervical cancer, oral cancer, and genital warts. While talking to your doctor about the HPV vaccine it is also important to talk to your doctor about your daughter’s other health issues. Schedule a visit to an OBGYN if your daughter has not already started having yearly exams. Even if your first visit is does not even include a full exam it is important to see the OBGYN so that you and your daughter can be completely informed about reproductive health issues and birth control measures prior to going to college. These are important issues that must be discussed. Most parents want to make sure that there child is comfortable and having fun. College can be full of homesickness. To ease your daughter’s transition to college you can send care packages. Fun care packages might include a girl’s favorite foods, books, or movies. They also may be more humorous. Feel free to get creative and leave lots of fun notes and cards. Make sure to pack more than one of everything in the care package since your daughter’s friends and roommates may want to partake in the fun as well. Most parents typically send care packages right around birthdays. But sending them around final exam week may help your student reduce stress and feel less homesick. Lastly, have fun and do not be afraid. This marks a huge change in your daughter’s life and you should be proud of her for making it this far. College is no easy time. It is a time where many girls can get lost while they are figuring out who they are. Just remember that this is just as scary for her as it is for you!